The Pennsylvania Derby is the biggest race in the nation this coming Saturday, with a $1 million purse up for grabs for three-year olds at Parx Racing just outside of …. Anthony Joshua is back in the ring this month, but it’s not the super fight with American Deontay Wilder that the world wants to see. 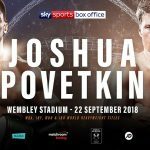 Instead, Joshua will be defending …. The 2018 Emmy Awards are set to take place in prime time on NBC on September 17th. This ceremony for the 70th Primetime Emmy Awards will be hosted by Michael …. 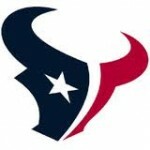 The New England Patriots will kick off the 2018 NFL season with a home game against the Houston Texans. The game will be played on Sunday, September 9 at Gillette …. The Philadelphia Eagles will kick off their title defense against the Atlanta Falcons in the first game of the 2018 NFL regular season. The game will be played at Lincoln …. College football is absolutely massive across the United States. 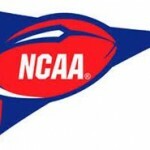 The betting handle for NCAA football games rivals that of the NFL. The fans are often more passionate and the sheer …. Canelo Alvarez and Gennady Golovkin are set to renew acquaintances inside the ring almost a year to the day from the controversial draw in their first fight. This rematch is …. 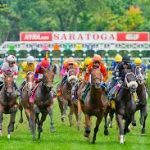 The biggest horse race of the coming weekend is the 2018 Travers Stakes, which is held at Saratoga Race Course in New York State. The race is jam packed with …. 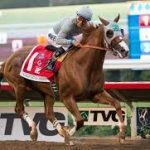 This Saturday, Del Mar Racetrack in California will play host to the 2018 Pacific Classic. There’s a lot on the line for the 8 horses competing with the Pacific Classic …. KSI and Logan Paul, two YouTube personalities with massive online followings, will be competing in a boxing match in Manchester, England on August 25th this year. KSI beat fellow YouTuber, ….